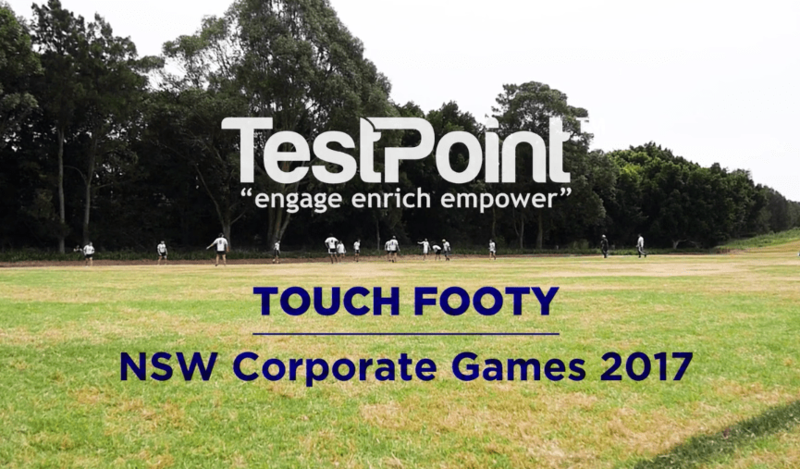 TestPoint Barbarians team enjoying the 2017, NSW Corporate Games event participating in Touch Footy. Captain Jamie and Coach Hala, did a fantastic job at bringing the team together and putting their game strategy into action. Look out for TestPoint in 2018 as we plan to come back stronger with more determination to enjoy the games.